and the pretty pastel colors - perfect for Spring Teas & Brunches! cutters and know that my scones will still be beautiful after baking! to be the "bunny tails." glaze. I made the glaze in two colors - pink and yellow. 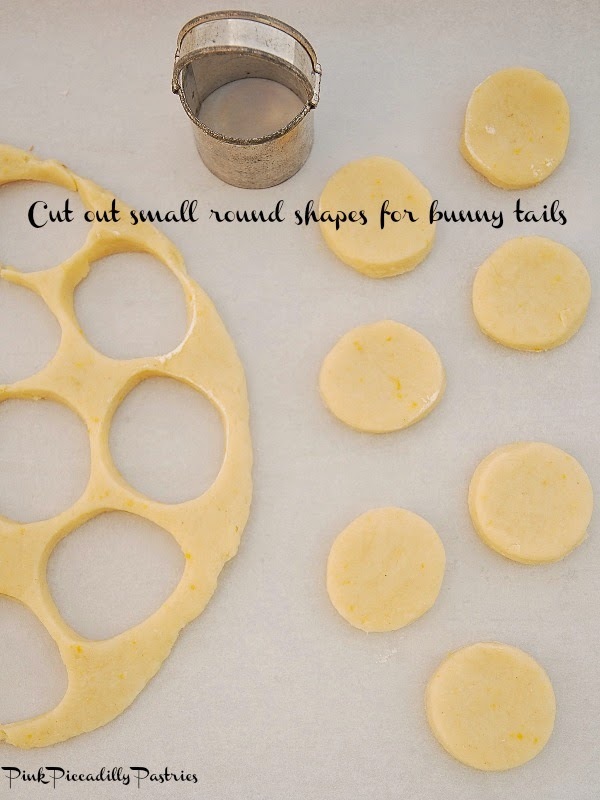 shapes one at a time and use your sprinkles immediately. shredded unsweetened coconut from Bob's Red Mill. scones maintain their shape. Preheat oven to 425F. Bake 10-15 minutes, depending on your oven. So cute - don't you think?! I'm joining Rose Chintz Cottage today for Tea Time Tuesday! 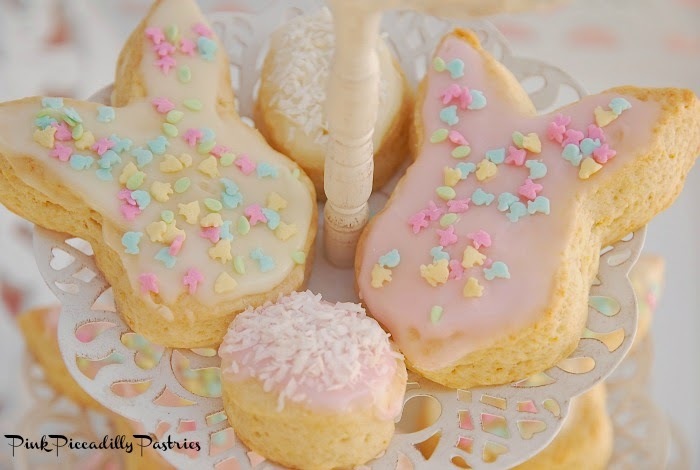 Stop by for some cute Teatime ideas! This is a really wonderful scone recipe! So light & scrumptious!! Your bunnies look absolutely delicious! Thanks so much Madelief!! It's a wonderful scone recipe! Have a great week!! xo! 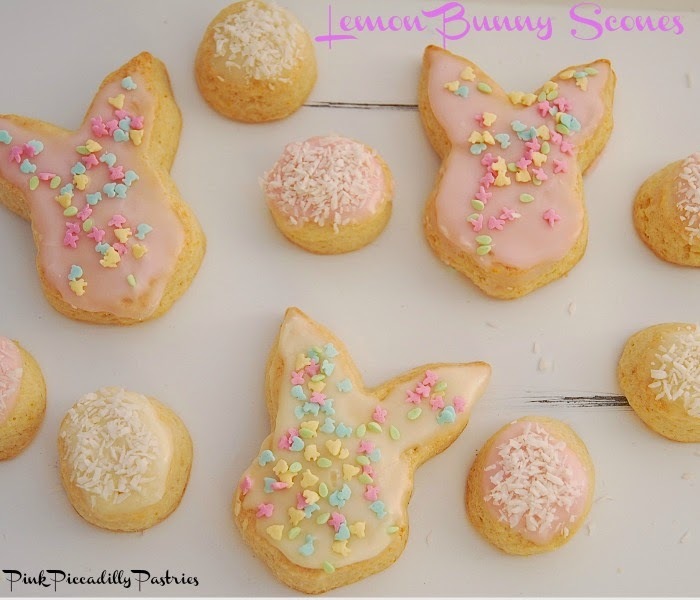 Your bunnies are cute and look delicious. Looking forward to trying some. Thank you Beth! They really are the best scone that I've baked! xo! Oh my, are these ever cute! They look delicious too. I love the soft colours and the bunny tails add to the fun. Thank you so much for sharing at Tea Time. 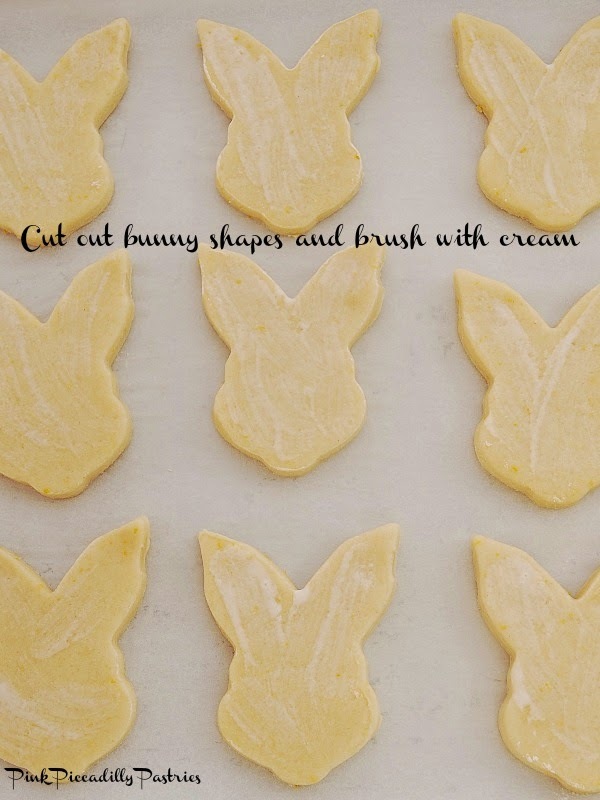 I'm going to have to make these but I'll have to find a bunny cutter first. I ordered my cookie cutter through Amazon just so I could do these scones! They would be cute in other shapes too - maybe a teapot? Thanks for your sweet comments! Love your Tea Parties!! xo! Thanks for letting me know Sandi! I just looked at it - love the pink tea party!! xo! 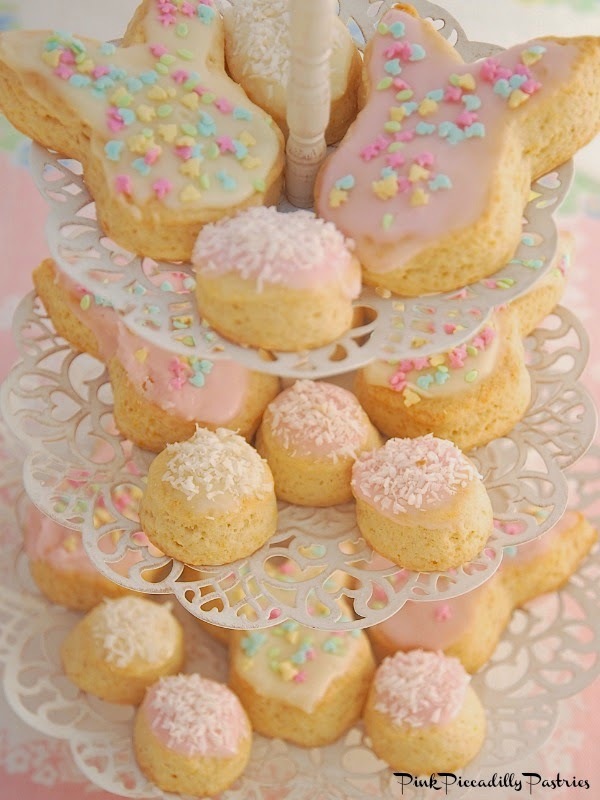 Hello Tina, your treats today not only look amazing, they look delicious! 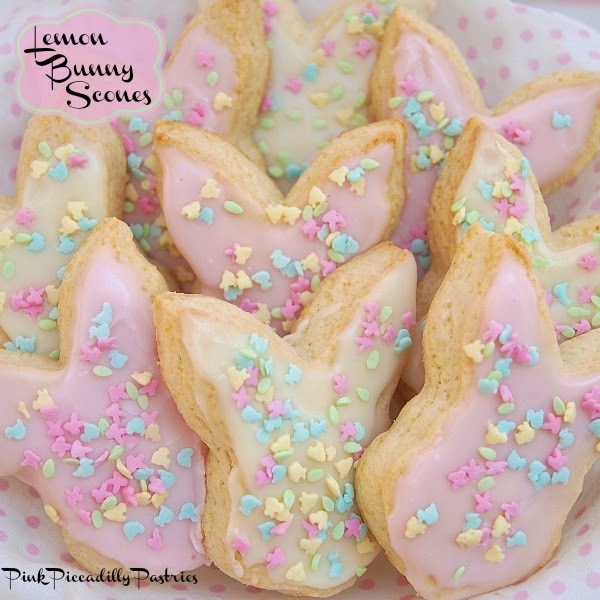 What could be better than lemon bunny cookies? Yum! Thank you so much Terri!! 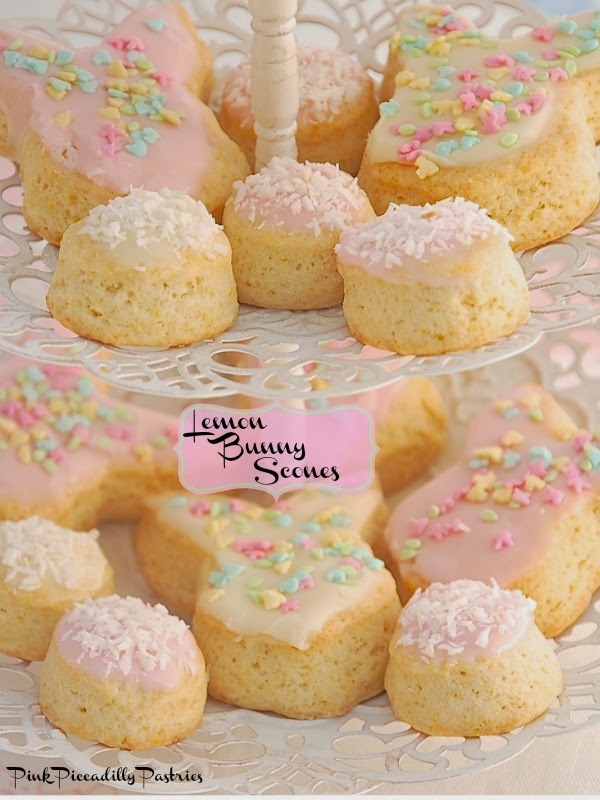 I wanted to create a Spring themed scone and they are so delicious!! xo! TOO CUTE oh my gosh how adorable. WOW, you sure get your scones to rise nicely. They have great "loft!" Well done, these are ADORBZ! You need to try this recipe! They really are light & fluffy, but rich with the butter & cream! So good!! Those look wonderful! I'd love to find those at my tea table. I love these. They are adorable. Thank you for sharing such a different and fun recipe.